The tourism marketing event created by Rick Still is putting the finishing touches on the program of activities for its sixth edition, to be held Sept. 4-6 at the Fort Lauderdale Marriott Harbor Beach Resort & Spa. More than 150 industry professionals from different segments (groups, leisure, MICE and OTAs) interested in the latest news on U.S. products and destinations are reported to attend. Fernando Harb, vice-president of the Tourism and Conventions Office of Ft. Lauderdale, stressed that "we are very pleased to welcome you to La Cita, which will become the perfect option for Latin American and Caribbean trade to grow its business under a pleasant social environment. In addition to the agency represented by Harb, JetBlue Airline and Visit Florida support this boutique-style meeting. Hoy 26 de abril se desarrolla una nueva edición del Workshop Turístico ACAV - Temporada Baja, el encuentro turístico más importante de la provincia de Córdoba y uno de los más trascendentes del interior del país, que reúne a operadores mayoristas, agentes de viajes, empresas de transporte terrestre y aéreo, y representantes de destinos, para desplegar toda su oferta en el mercado de la provincia mediterránea. The global travel and tourism industry increased by 4.6% during 2017, a trend that has continued for the last 7 years, according to an official statement from the World Travel and Tourism Council (WTTC). Tourism Surpassed the growth of other major industries worldwide, such as manufacturing, transportation, agriculture, financial services. Gloria Guevara Manzo, President and CEO of the WTTC, said that tourism currently generates one in ten jobs. As the annual Economic Impact report by the World Travel and Tourism Council and Oxford Economics states, this sector is fundamental for economic development and job creation around the world, as for seven consecutive years, starting in 2010, this industry has outperformed the global economy, growing by more than 30% in cumulative terms compared to 20% of the total economy. In 2018, positive growth is expected for all regions of the world in the direct GDP of Travel and Tourism. South and Southeast Asia are expected to be the fastest growing countries in the world with increases of 7.2% and 5.9%, respectively. By 2028, the Travel and Tourism sector is expected to stimulate 410 million jobs worldwide, equivalent to 1 in 9 of all jobs worldwide. The 10-year outlook for global GDP growth in the tourism sector is that it will remain the same as last year's forecast with an average increase in direct GDP of 3.8%. In the same period, Asia is also expected to have an average annual growth of 6.9% in direct GDP from Travel and Tourism, while India is expected to have 7.15% and China 6.7%. La industria de viajes y turismo a nivel global aumentó un 4.6% durante el 2017, tendencia que se ha mantenido durante los últimos 7 años -según comunicado oficial de World travel and tourism council (WTTC)-. El turismo Sobrepaso el creciemiento de otras grandes industrias a nivel mundial, como manufactura, transporte, agricultura, servicios financieros. La Cita deste ano será no Marriott Harbor Beach Resort & Spa, em Fort Lauderdale A La Cita reúne mais de 150 profissionais de viagens dos segmentos de Mice, Grupos, Lazer e OTAs para um encontro com os fornecedores de turismo dos EUA. La Cita 2018 - Sun, Fun and Great Business! The survey of the Travel Agency with more than half a thousand businessmen and officials of the sector reveals an improvement in the mood of the activity. But the average hides the weakest 2017 assessments and the weakest expectations for 2018 from receptive operators. A remarkable contrast to the euphoria of those who depend on the emissive. What unites everyone on the same front is the claim against the fiscal backpack and the low profitability. The survey of more than 1,000 people involved in the actual activity was carried out by the La Agencia de Viajes on the occasion of its 29th Anniversary. is a valuable contribution to measuring the sectoral mood already fulfilled halfway through the mandate of Cambiemos. A superficial glance at the family photo shows 57% more smiles than last year when it comes to evaluating 2016 (46%). Almost half of them even believes that 2018 will be a little bit or a lot better. But one can fall into a mirage if one tries to define on this basis the events and expectations of the various segments of action, since it is known that "on average the dwarves drown". And the en-survey of La Agencia de Viajes shows just how heterogeneous the results of the last two years have been, of clearly there are winners and losers. The glass of 2017 shines brighter than that of the opaque 2016. In fact, under the uniform light of the 540 respondents, the results for 2017 for companies/destinations are positive for May. · 46% rated it as a good year and 11% as very good. In average, 31% defined it as regular and only one in 10 said it was a bad cycle (for 2% it was directly very bad). That average is very similar to that of the 275 retail agencies that responded to the call, of which 56% raised their thumbs the year they left. Of course, the light that reflects the prism of 2017 is very different when it is subjected to the point of view of an entrepreneur working in the emitting segment than when it is made receptive. · To graph it out, 68% of the receptive tour operators rated 2017 as bad and only 3 each rated it as good or very good. On the other hand, for the thirty organizations, representations and/or hotels of foreign destinations that participated in the survey, the year had its own light: 40% said it was very good (only 3% of the national hotels and incoming operators received the same rating) and 33% good. No one can be surprised by such a contrast in smoke if we consider that in the last eight years the departure of Argentines abroad via Ezeiza and Aeroparque has increased by 96%, while the arrivals of foreigners have increased with the handbrake on. When measuring the confidence indiators in 2018, there is moderate optimism in all segments: 38% believe it will be a little better than in the past and 9% are encouraged to predict a much better one. Thirty-eight percent of them are confident that it will remain stable and 14 percent believe it will be even worse than 2017. Once again, the general data does not precisely define the mood of the actors, but it is with the analysis of each segment that the spirit is trans-parented. · In this sense, history repeats itself: the most somber humour comes from those who work in receptive tourism. For example, half of all incoming operators expect the situation to be neutral (35%) or worse (12%), while only 3% of agencies, representatives and/or hotels in foreign destinations expect a decline compared to 2017 (23% believe it will improve a lot and 30% a little). But not everything is yin-yang between emissive and receptive. The recovery of internal tourism in 2017 (which surpassed the record number of travellers and overnight stays in 2011) was evident in the minds of workers and service providers in domestic destinations. Not only because more of the mi-tad rated last year as good or very good, but also because they are among the most optimistic for 2018. Six out of 10 lenders and half of the hotels believe there will be an improvement in their business. Former President Bill Clinton's reversed phrase applies well to understanding that, above all other problems, the biggest concern of tourism entrepreneurs is taxes. For more than 70% of the 275 retail travel agencies, internal costs and its sister, the physical backpack, is one of the two main ghosts of business. In fact, for 43% the principal. Of all things, it should not be disregarded that for 3 out of 10 agencies the number one concern is the fall in consumption from the competition of foreign websites or direct sales. Both of these are also reflected in tour operators. But where the problem of the tax burden and the fall in profitability enjoy a monopoly among all the pro-blematics is in those who work in the destinations. · For 66%, this is the main issue to be resolved by the authorities, while for the suppliers it reveals six out of ten. In the case of national public organisms, the main risk is the fall in consumption (59%), while for more than a few hotels and representatives of foreign destinations, the fear is the country's exchange rate and economic volatility. This sector is the key driver of job creation worldwide. In the framework of the G20 Tourism Ministers' meeting being held in the city of Buenos Aires, chaired by Argentina, a far-reaching declaration was made together with invited States, representatives of the International Labour Organization (ILO), the World Tourism Organization (WTO) and the World Travel and Tourism Council (WTTC), with special focus on the role of Tourism in sustainable development, as an engine for employment across the globe, as well as in promoting strong growth - sustainable, balanced and inclusive - in the sector at the global level, as a basis for decent work, sustained growth and the well-being of societies. La Cita 2018 - A Hello Sunny Experience! 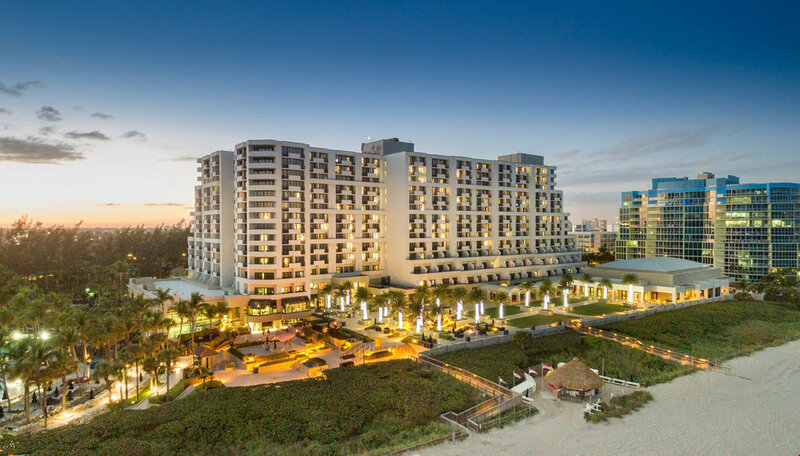 Set on 16 acres on South Florida's largest private beach, Fort Lauderdale Marriott Harbor Beach Resort & Spa is an iconic property boasting a lively experience with amenities for a wide range of guests from families to corporate groups. 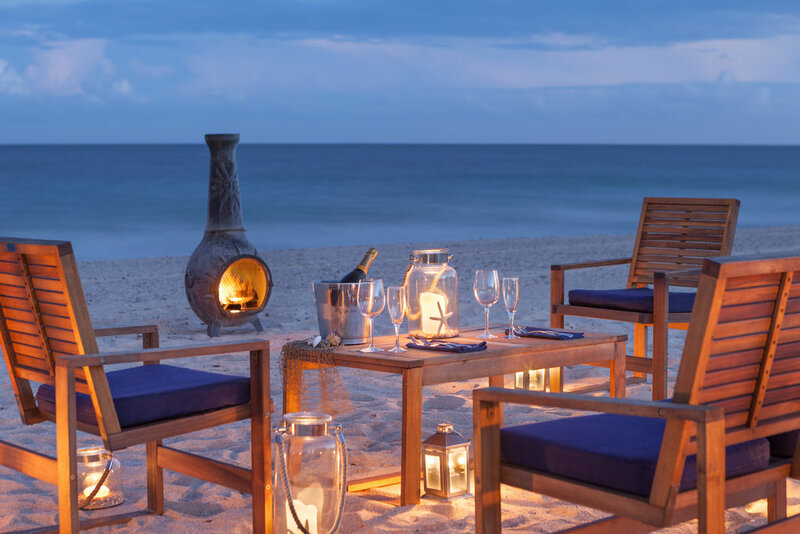 The resort is home to three restaurants including the upscale 3030 Ocean Restaurant providing modern American seafood. A wellness haven for travelers, the resort features an advanced fitness center and 22,000-square-foot spa that offers a variety of rejuvenating treatments and private pool. Guests can dive into the tropical lagoon pool or enjoy a variety of water sports and children's recreation activities. Featuring over 100,000 total square feet of indoor and outdoor event space, the resort is a favorite among intimate and large-scale meetings and celebrations. 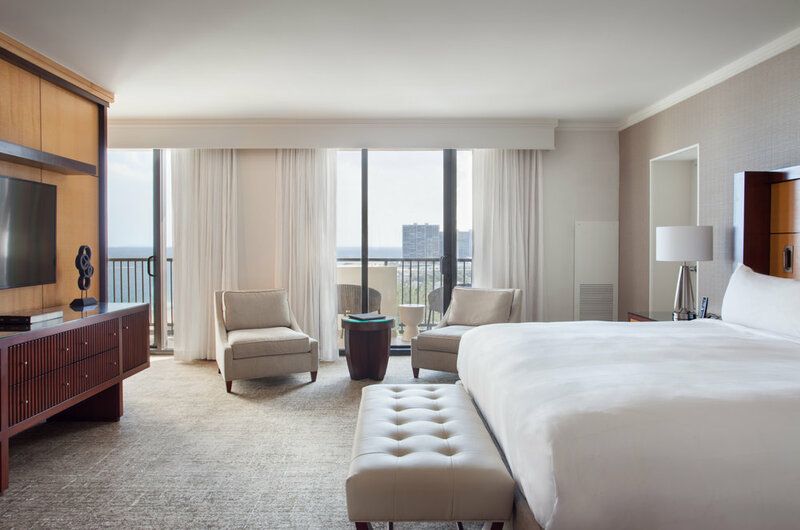 Located near the area's most popular attractions, Fort Lauderdale Marriott Harbor Beach Resort & Spa is minutes from Las Olas Boulevard and the Beach Promenade. By 2035, Latin America and the Caribbean will register a total of 638 million passengers. Similarly, it will contribute some US$ 380 billion to the regional GDP by that date. This is double the number of registered users in 2015: about 298 million, the year in which the contribution to GDP reached US$ 176 billion. The data was provided by Marcelo Pedroso, IATA's Director of Industry Relations for Brazil. The executive wondered whether the region is ready for such an expansion. "There is a great need to regulate the aviation industry in one fundamental area, which is safety. But regulation in trade matters makes no sense. Airlines must be malleable in order to format products and offer them to different types of customers," he said. The approval of the open skies agreement between the United States and Brazil, agreed by former presidents Dilma Rousseff and Barack Obama, by the Senate of Brasilia, has generated the support and backing of the main market players. American Airlines President and CEO Doug Parker said, "American has long advocated this. "Open skies agreements have been shown to increase travel choice and improve competition, resulting in greater benefits for consumers and a positive impact on economic growth. American applauds the actions of the Brazilian Congress to approve this open skies agreement with the United States," Parker added. On the other hand, David Neeleman, founder and president of the Brazilian company Azul, "will generate more synergies on our part with United", with whom they are developing a Joint Business Agreement (JBA). It should be remembered that the Chicago-based airline owns 5% of Azul. The first official statistics of the year showed a continuity of the dynamics of 2017, interesting rates of recovery of the receptive tourism and much higher figures of the outbound tourism. Organized by IATA on April 4 and 5, the tenth edition of Wings of Change, one of the most important aviation conferences in Latin America and the Caribbean, will be held in Santiago, Chile. It usually brings together leading experts to review the state of aviation in the world and the region. Organized jointly with ALTA under the theme "Celebrating the Magic of Aviation", the program includes conferences and round tables on infrastructure issues, the economic value of aviation, the growth of low-cost airlines in the Americas, industry regulation and harmonization, consumer protection and a vision of the future passenger experience. IATA. Latam airlines inaugurated its first flight to Costa Rica with which the country became the first Central American destination in which the airline raids.